“A first class dealership. I purchased a 1989 190E from Benz Bavarian. They went above and beyond any normal preparation for what was in effect just a trade car. On collection the car presented immaculately and it was very evident that the team at Benz Bavrian team had put in a lot of effort for me.I very much appreciated their efforts. And here’s irony, my friend drove me up from the south coast to collect the car, about a 220 mile journey, in his 2 yr old C Class Mercedes. 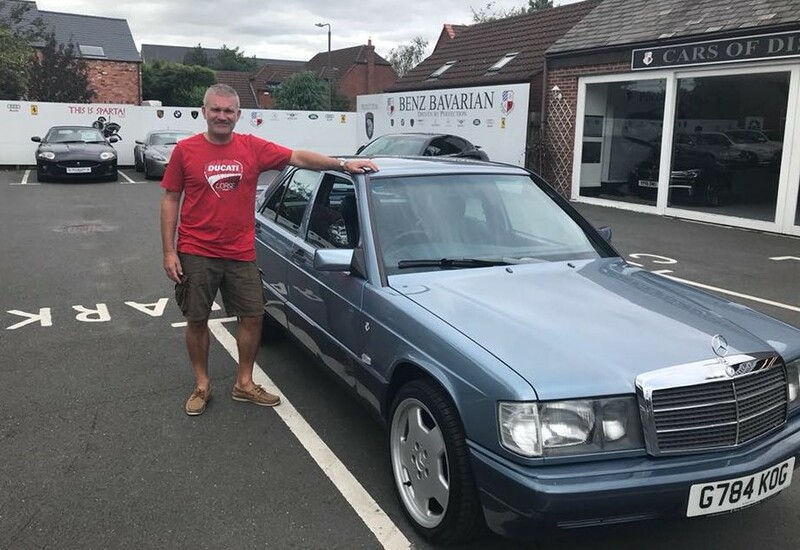 On the return trip, as we were sat in endless queues of traffic, my friend pulled up alongside me stating that his modern Mercedes had developed a fault and had gone into limp mode and we needed to pull in at the nearest services…….meanwhile the Bavarian Benz prepped, 30 year old Merc’, doesn’t miss a beat and performs faultlessly! !